Gary, How did Soto Studio get started? We were very fortunate in getting a Grant from the National Institute of Health in Maryland to get started. 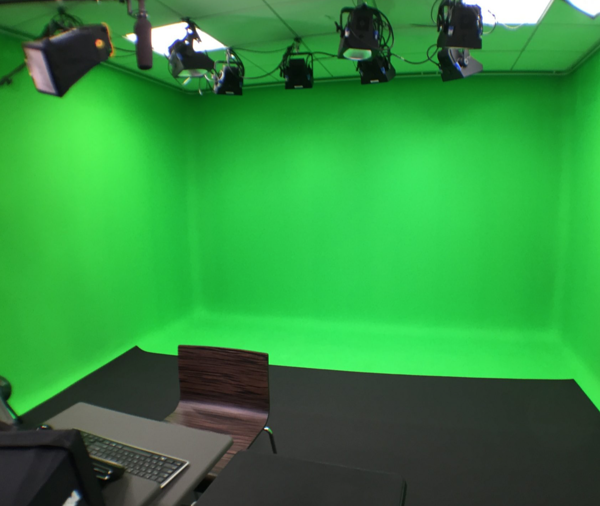 The idea for the studio was to provide a resource for professors and researchers to get their content more professionally seen to the world. We wanted to do this by recording lectures, interviews, creating podcasts, really any recording means. I was working at Drexel University at the time, and it was a great opportunity that I saw to move out to Los Angeles and to build out the studio. I wanted to build a Green Screen studio; green screens bring out the kid in you, you know? In Disneyland or any place where you have a Green screen, you just become like a child. That's the beauty of it and one of the reasons why I gravitated to it. I get these researchers and all these Super serious doctors to become kids again and to smile and enjoy the process of doing these recordings. By those means, we're able to get content that's natural, and users can really connect to their audience. This has been its sixth year and not only do we service the health sciences campus which is where we are located at USC but also folks outside of USC. 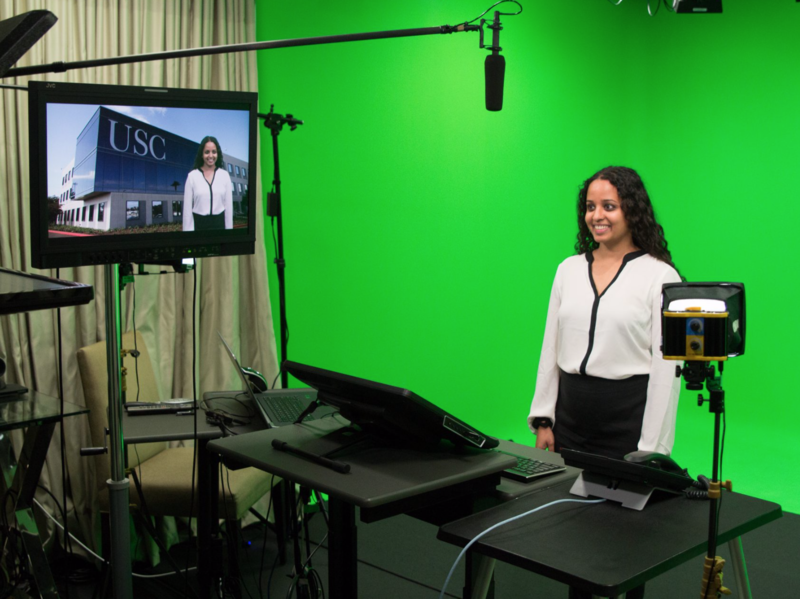 “We’re flipping the classroom, one recording at a time”, this is the motto of the Soto Studio run by Gary San Angel inside the University of Southern California’s Heck School of Medicine. The flipped classroom is a highly regarded educational strategy for delivering interactive media into a blended learning environment. The studio is often used to produce high-quality recordings for professors who are preparing to deliver portions of their curriculum through online learning courses. The idea of the flipped classroom is to essentially bring the homework into the classroom and make learning via online tools the homework. As you can imagine, the need for lecture capture solutions has also grown outside the studio space and Gary often works with teachers in classroom and auditorium environments. Using the remotely controllable PTZOptics NDI cameras, Gary has developed a functional plan to extend the schools capabilities. Working with the school’s information technology department Gary has secured a static IP address on the university’s extensive network for the PTZOptics camera. This allows Gary to easily send out the camera to any location on the school’s network and record a lecture. Gary pairs the PTZOptics camera with a small audio mixer used to capture audio. Sometimes the audio mixer features a directional microphone and other times Gary uses a wireless lapel. Either way, Gary is able to record broadcast quality 1080p video connecting the PTZOptics cameras using NDI with Wirecast. 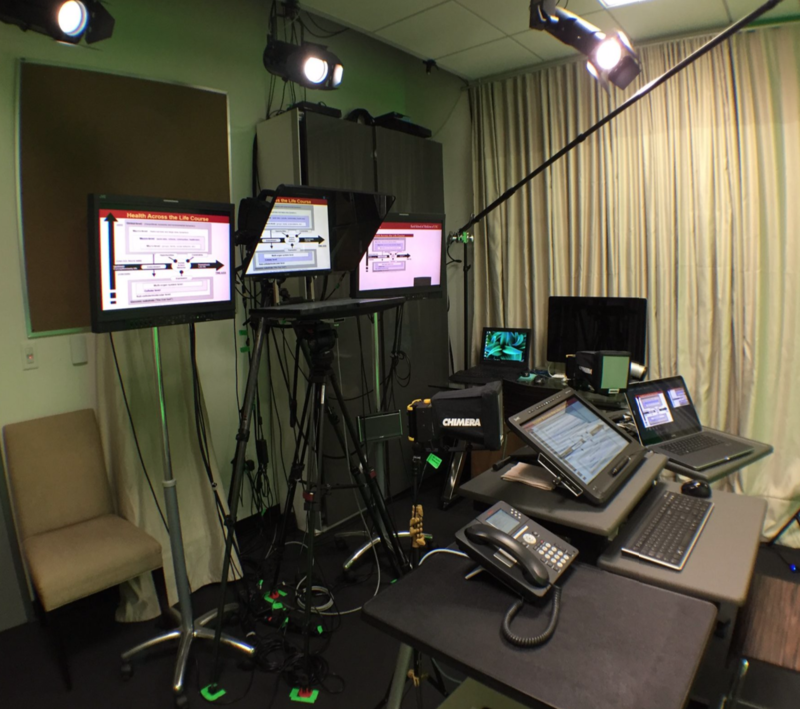 Inside Wirecast, Gary is able to monitor the presentation and set up multiple cameras presets. Gary has also used the NDI scan converter to capture video from PowerPoint presentations to be included in each recorded lecture. 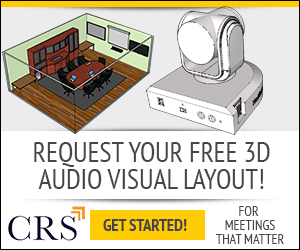 Wirecast provides video mixing capabilities to set up picture and picture layouts. If somebody wanted to get in there and make a video with you, can you tell us a little bit about the process, how you get in, what you pay and how long it usually takes, etc? We do have a website, sodastudio.usa.edu, and on our website, it shows an example of our studio and some basic pricing. For folks who are interested in doing lecture capture it's 250 an hour, webcasts are 350 an hour, and the production services are 150 for video editing or sound engineering. We also do DVD altering. We do have discounted pricing for USC faculty and staff and then depending on the Organization and the kind of projects whether it's connecting to health sciences or you know related to medicine, we can work with you to find a reasonable price. We are offering a service that allows anyone to create stunning content in a professional studio easily and affordably. Could you tell us about your technology set up? Sure. Right now we are doing some testing with PTZOptics to switch over our studio to all NDI cameras. I have been researching and working with NewTek about NDI and its function in academia. One of the reasons why NDI is very important is because it allows for the ability to use your network infrastructure as your cable runs. In traditional video production, you have incredibly long physical cables (SDI cable) that connect your cameras. So we're using the robust network of our USC network infrastructure which has a lot of bandwidth. What I think is very innovative about NDI is that it's kind of a two way Street where you can send and receive signals. You can send something from the camera to Wirecast, which is what we use for video mixing and doing the recordings. What that allows us to do is, for example, is if you're in a classroom that has internet you can connect a network camera and we, in our master control, can see the camera on the network and record your class. That is a considerable savings in infrastructure. 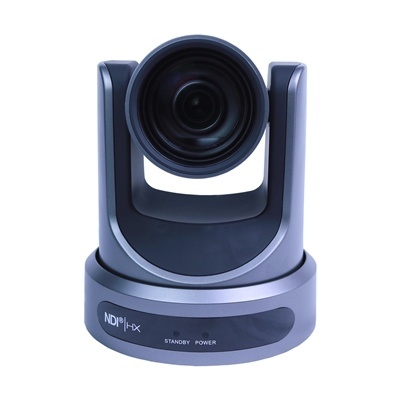 To build out all those audio-visual capabilities could be like eighty to a hundred thousand dollars whereas here, we put PTZOptics cameras with a small mixer and a microphone in a classroom and can control the camera, and record the class using NDI software tools. We can capture the screen on the presenter laptop play that right back into our master control as well. Recording your content and recording from the camera anywhere in that network is revolutionary. I've talked to a few of my colleagues, and they see the power of NDI. I have not thoroughly tested it yet but with the help of PTZOptics and their engineering, I think have figured out how to overcome any obstacles. Currently, we have also Panasonic GH five as well. So the PTZOptics cameras will allow for that flexibility with our other stationary cameras and give us much more ability to get great angles closeups, and more. I mean it's super cool to be able to operate that camera as just one person, so you don't have to hire two or three camera people. To me its a game changer all the way. People have the question of latency, and I have to say that the new NDI protocol is more efficient with bandwidth and works phenomenally well. Visually I do not see latency, maybe if somebody were to do a scientific test, it could be detected, but quite honestly It is good enough for me to say this is ready to go. You are very progressive! Would you say that Once you go NDI you don’t go back? It’s true! I'm looking at things industry-wide to see what some other players are doing and even Panasonic’s new camera that they have coming out (it's a 4k camera) they put NDI on there. I was like wow, you know if they’re putting NDI onto their cameras it means everybody else is using this as the primary protocol for network devices interface connectivity. I think PTZOptics is definitely at the forefront and their price point is excellent. What are some of your best tips and suggestions for people just getting started? You can do this without even buying a camera. Go to Newtek’s website, and they have all the tools available for free. I've talked to the marketing guys from Newtek, and they are astonished that the CEO is giving this out to the world for free! So you can get one of the best cam converter tools for free, and you can install it on any laptop. That way you can test out NDI without the risk. When you are ready to take the next step, I suggest going with PTZOptics cameras because its the most inexpensive solution and the tech support is fantastic. To me the tech support is critical. With PTZOptics it's not some call center where they're reading a script. Before we close is there anything else anything you think we missed or anything you'd like to add? If anybody has any questions feel free to go to sotastudio.usa.edu. At the very bottom is a contact us form and if you send anything, any questions that you may have regarding our setup or how we're doing it, I'm more than happy to share. I feel like the more that we get information out there, the more that folks will be able to see the advances and the pluses of being able to use NDI technology.